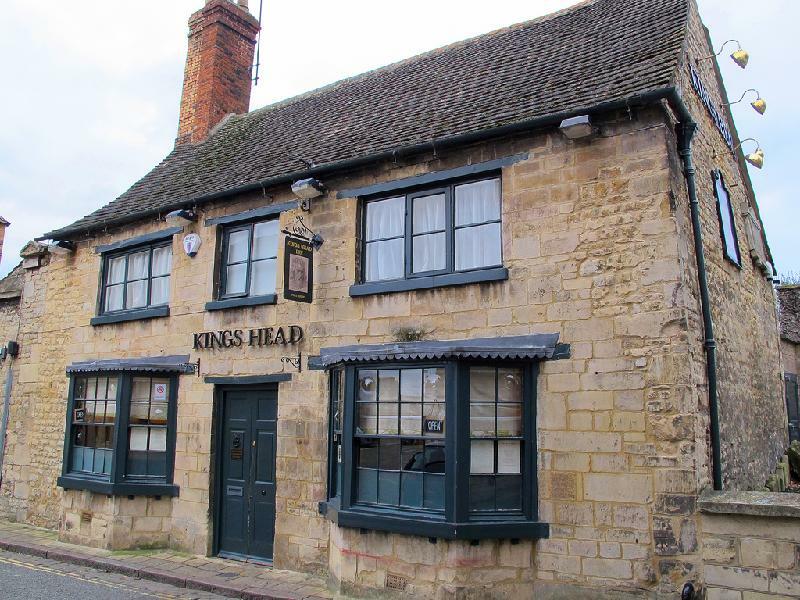 A charming little pub just off the High Street in Stamford, the Kings Head serves a good selection of reasonably priced food and a couple of decent ales. Behind the bay windows, through a tight pair of doors, the interior has had some modernisation but preserved a cosy atmosphere, two split level bar areas have bare oak floors, exposed stone, comfy padded benches and a wood burning stove. The simple varied menu has dishes to suit all appetites, from a mug of soup with crusty bread, sausage sandwich with onion marmalade, home made cornish pasty, cod and chips with mashed peas, Scotch beer burger or the house ploughman's lunch. Sandwiches and snacks around £5 and mains under £10, good stuff!